This year, thanks to the generous funding from an anonymous donor and the Landscape Institute we are pleased to offer bursaries to encourage use and engagement with our Land Settlement or Landscape Institute archives. 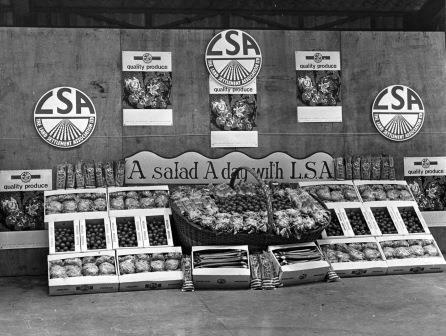 The Land Settlement Association was established in 1934 to provide employment on the land for unemployed industrial workers from depressed areas. Find out more here. 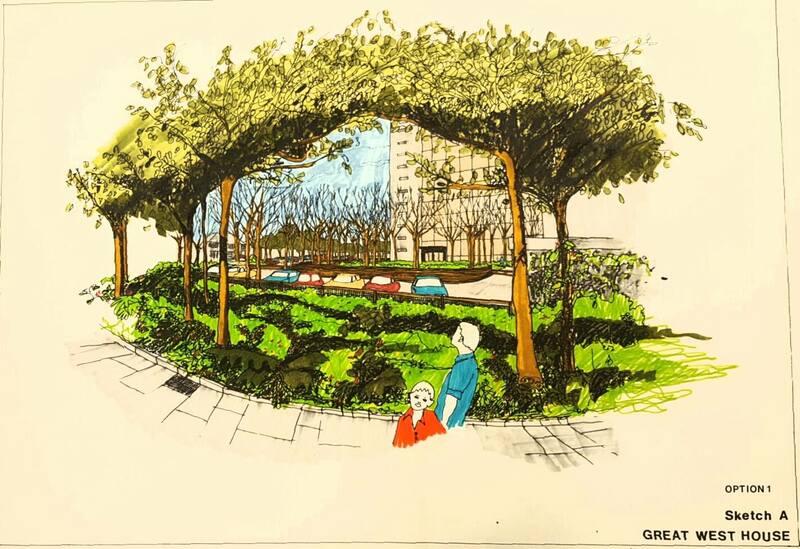 The Landscape Institute was founded in 1929 as the Institute of Landscape Architects. It is the Royal Chartered institute for landscape architects. Find out more here. You can search our catalogue here. The purpose of this award is to encourage academic engagement with the Land Settlement archive held at Reading. 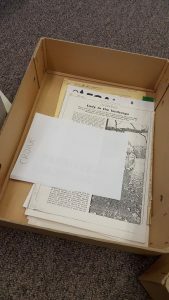 The archive contains minutes, annual reports, accounts, estate records, correspondence, film, photographs, press cuttings and maps. The successful proposal will attract a stipend of £1,500. The funding can be used to offset teaching and administration costs, travel and other research-related expenses. Appropriate facilities are provided and the successful applicant will be encouraged to participate in the academic programmes of the Museum. The intention for this award is to create an opportunity for a researcher to develop and disseminate new work relating to the Land Settlement Association. Applications will be by email to merl@reading.ac.uk (please put “Land Settlement Bursary” in the subject line). Please outline the proposed research including dissemination outcomes of the research and budget for how the bursary will be spent. (e.g. conference paper, article, blog, exhibition etc). Interested applicants should submit a CV and a statement (max 800 words) outlining their interest in the bursary, and current work. The purpose of the student travel bursaries is to enable student access to the Land Settlement or the Landscape Institute archives held at Reading. 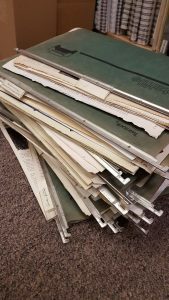 The collections include minutes, annual reports, accounts, estate records, correspondence, film, photographs, press cuttings, maps and published material. One bursary of £150 to use our Land Settlement collections. 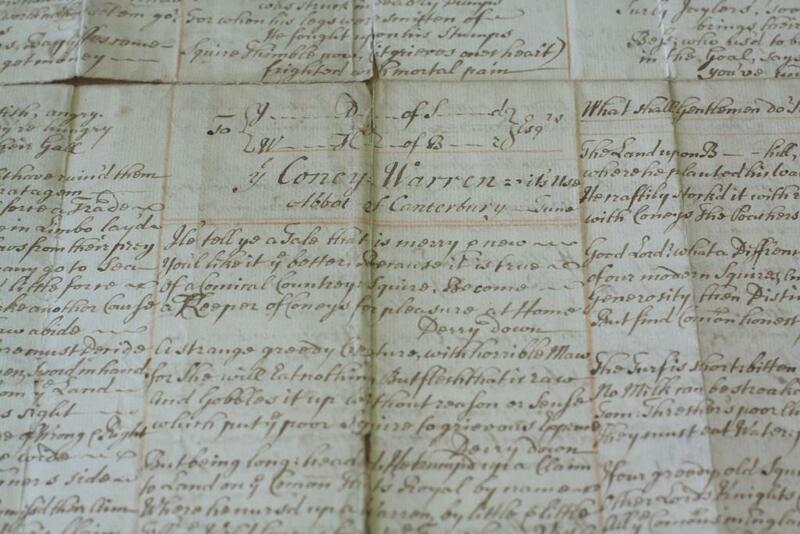 Two bursaries of £150 each to use our Landscape Institute collections. Applications are invited from any student in part or full-time higher education. Interested applicants should submit a CV, and a short statement (max 400 words) outlining their interest in the Land Settlement Association or Landscape Institute, stating how the bursary would be spent and how it would be beneficial to their studies. 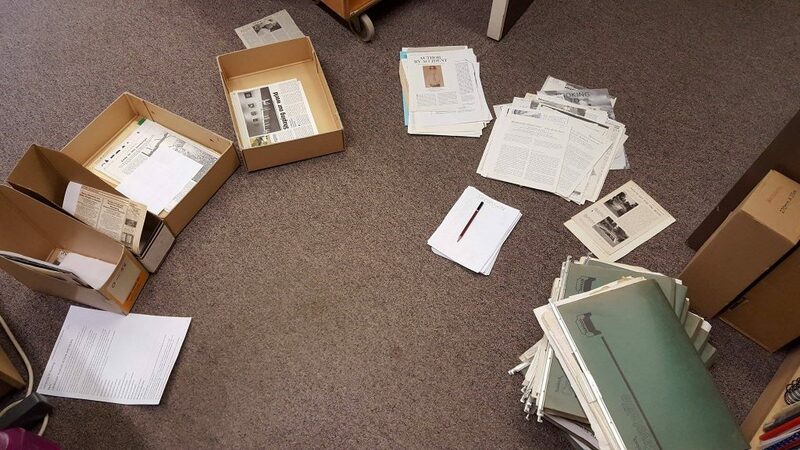 Applicants should identify those materials in the archive that would be of most benefit to them. Any work will need to be carried out and finances claimed by 31 July 2017. Our landscape collections are pretty special. Read this overview of our landscape collections or search our combined library, archive and object catalogue. Take a look at reasons to use our landscape collections in your research and topic and resource ideas. A) A taught undergraduate or postgraduate student? B) Studying landscape architecture, design or management? History, geography, architecture, environmental science, ecology or design? C) Desperate to impress your dissertation supervisors? D) Reading this before 28 Feb 2017? Then we look forward to receiving your application! (Just ask us if you want to check you are eligible). If you are a taught student in part or full-time higher education, you can apply for one of landscape student travel bursaries. We welcome your innovative ideas on how you will use our collections in your research. Applications will be by email to merl@reading.ac.uk (please put “Landscape Bursary” in the subject line). Applications will be invited from any student in part or full-time higher education. Are you an undergraduate, postgraduate, independent researcher or at school? 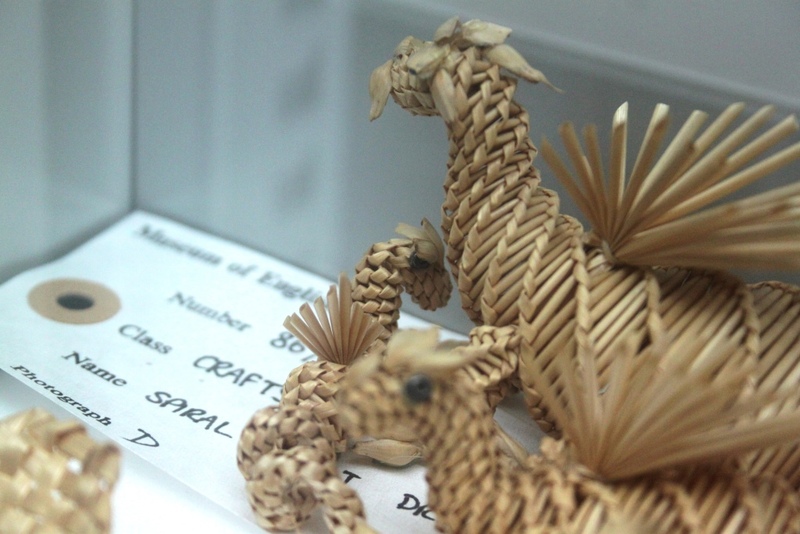 Are you studying history, geography, architecture, environmental science, ecology or design? Then come and use our landscape collections in your research (if you’re an undergraduate apply for one of our landscape student bursaries). We’ve even got topic and resource ideas listed here. So why use our landscape collections? And how? 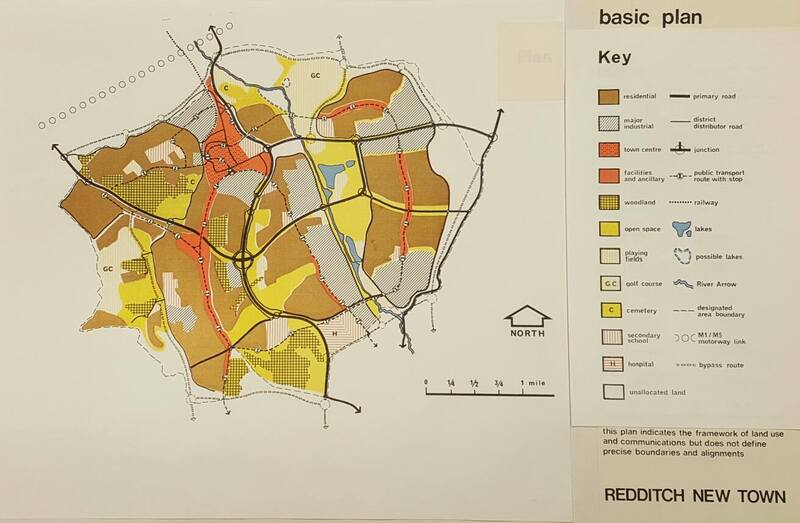 MERL now holds the best collection of 20th century landscape archives and library material in the UK. 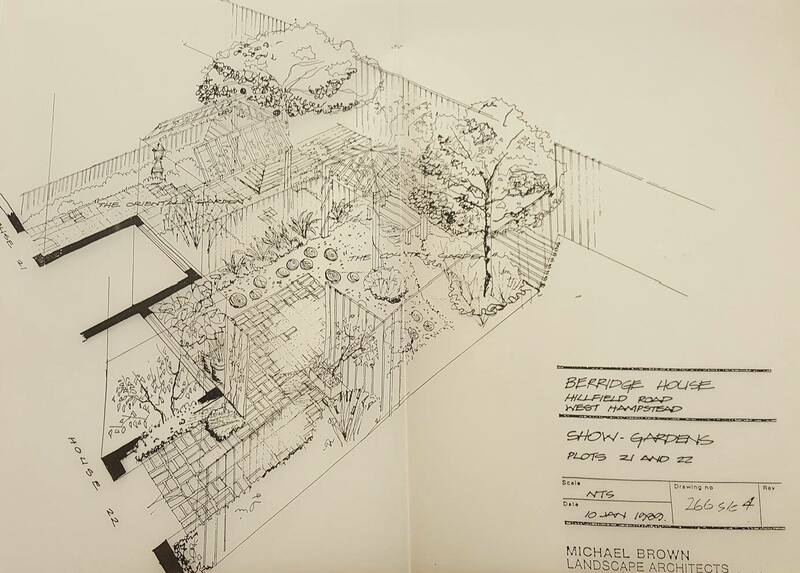 Our Landscape Institute collections hold everything from plans, drawings, slides, books, journals and pamphlets to the LI’s institutional archive containing all of their corporate records, such as minutes and membership files. So if you are interested in a particular project (from anywhere across the UK), a specific landscape architect (maybe Jellicoe, Crowe, Colvin? 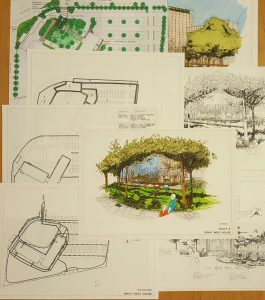 ), the Landscape Institute itself or the emergence of landscape architecture as a profession then we have what you need. 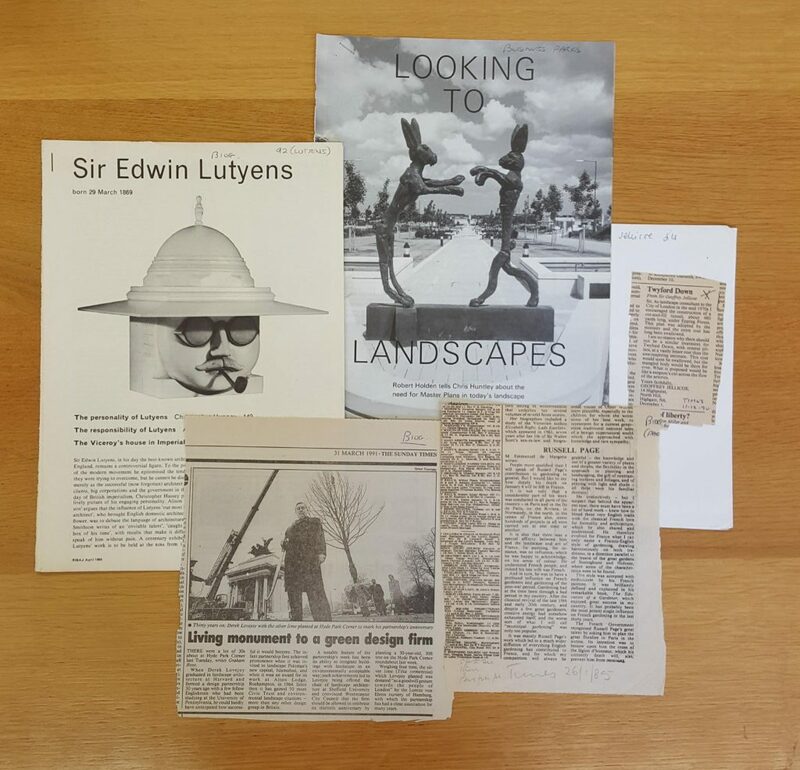 Lots of our other collections support landscape studies too, such as The Land Settlement Association and the Open Spaces Society. Every day we inhabit built and natural environments. The landscape is all around us, all the time, shaping and informing our lives. You can reveal all that our landscape collections have to offer by using them in your research. You can draw out previously unknown themes, connections and discoveries. We house the collections, keeping them safe and making them available to you. But only you can bring them alive by using them in your research. For the MERL and Special Collections teams to thrive, we need tea. (Never near the collections, of course). For our landscape collections to shine, they need to be accessed and used. So be inspired by the National Archives Explore Your Archive week: come and find our more about our landscape collections. 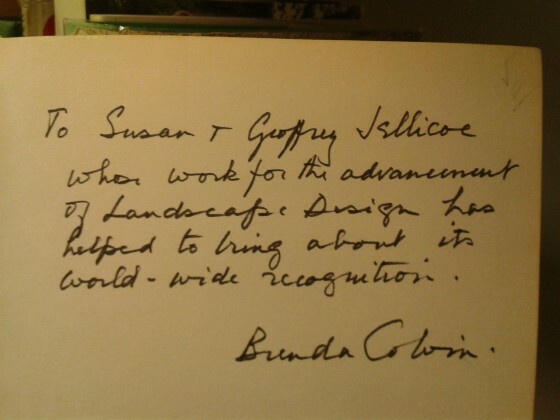 Colvin inscription to the Jellicoe’s, in the front cover of a 2nd edition of her Land and Landscape. We host a lot of reader’s in our wonderful Reading Room. So we know that you could spend many studious hours looking at reports, minutes or papers. All very good research that is too. Visit our Landscape Institute archive and library page for an introduction to the collections, handlists and updates. 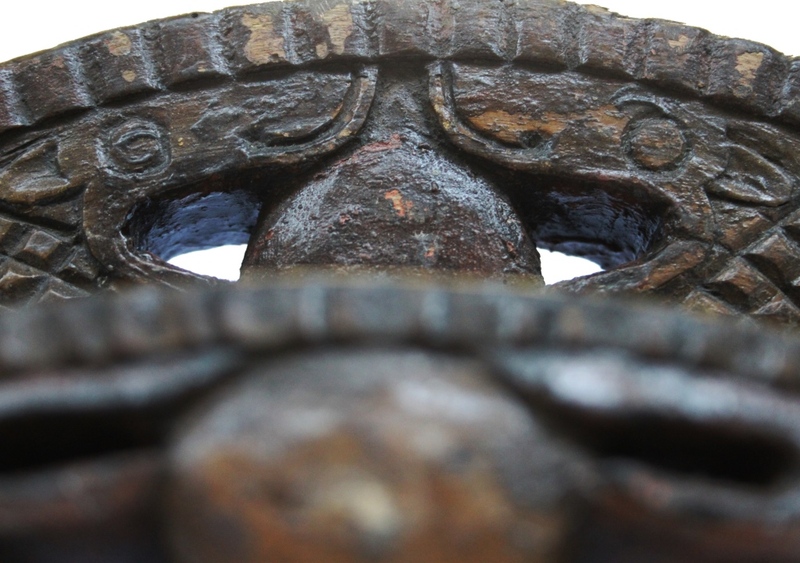 Search our integrated archive, library and object catalogue here. 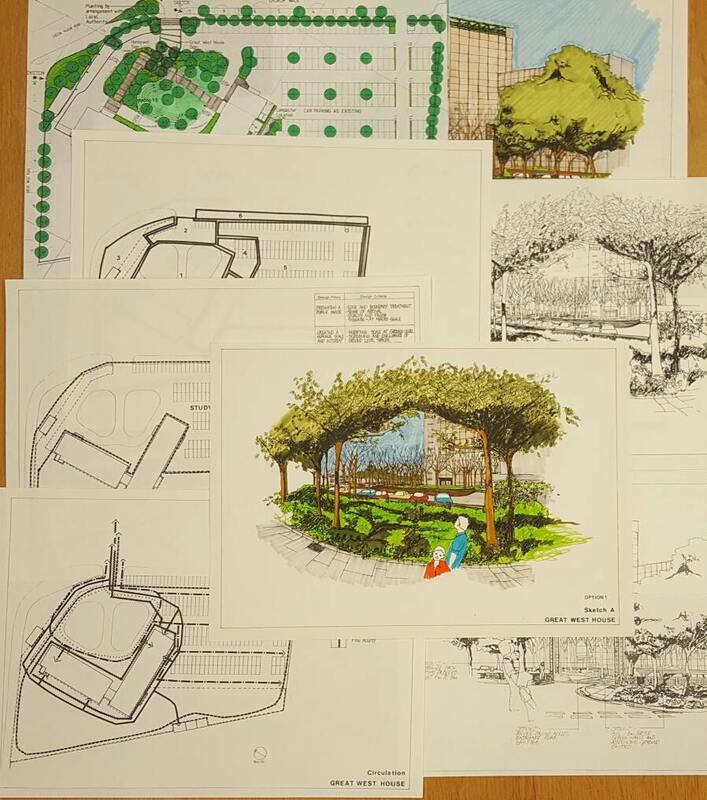 You could search for a particular book, place name, or landscape architect for example. Subscribe to this blog for further updates in the Discovering the Landscape series and follow us on Twitter and instagram. Great news everyone! 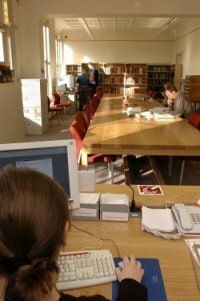 We have extended our Reading Room opening hours. 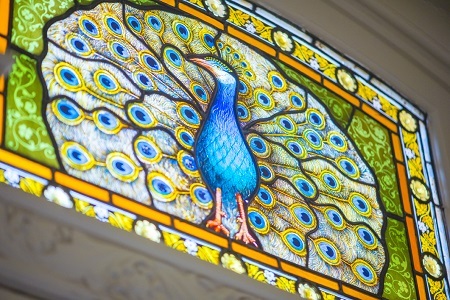 Up until now, although you have been able to visit our wonderful Reading Room Monday-Friday, 9-5, we have operated a restricted service on a Monday. This meant that, on a Monday, we opened later (10am) and we were unable to retrieve material from our store. Every Monday to Friday – 9am to 5pm! Retrievals take place until 4.15pm, and we collect all closed access material in at 4.45pm. So why not pay us a visit? 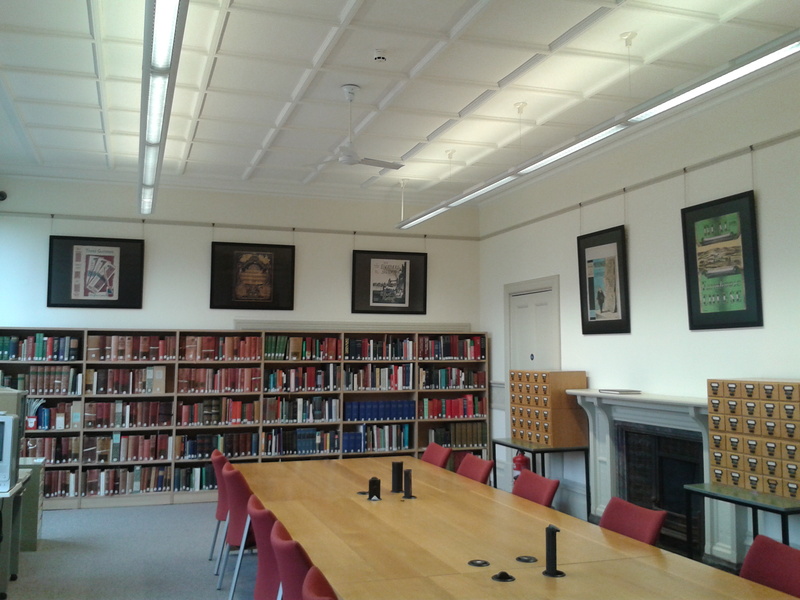 You can find more information on using our Reading Room here. If you have any queries or would like to order up material in advance, you can contact us at merl@reading.ac.uk. With such vast and varied collections, we sometimes come across hidden treasures. Adam Lines, Reading Room Supervisor, tells us about a discovery he made recently. One of the most invigorating aspects of my role as Reading Room Supervisor is the wealth of knowledge about the collection that I accumulate on a daily basis. 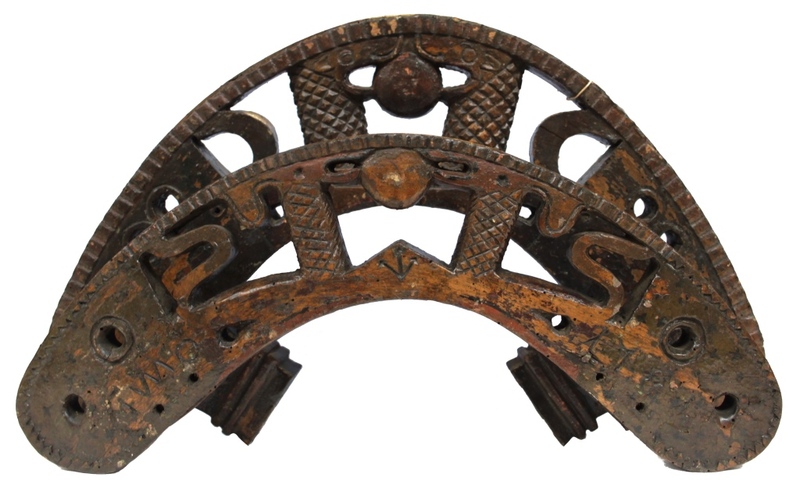 Often researchers draw my attention to the significance of items in the collections through their enthusiasm for, and knowledge of, their subject. 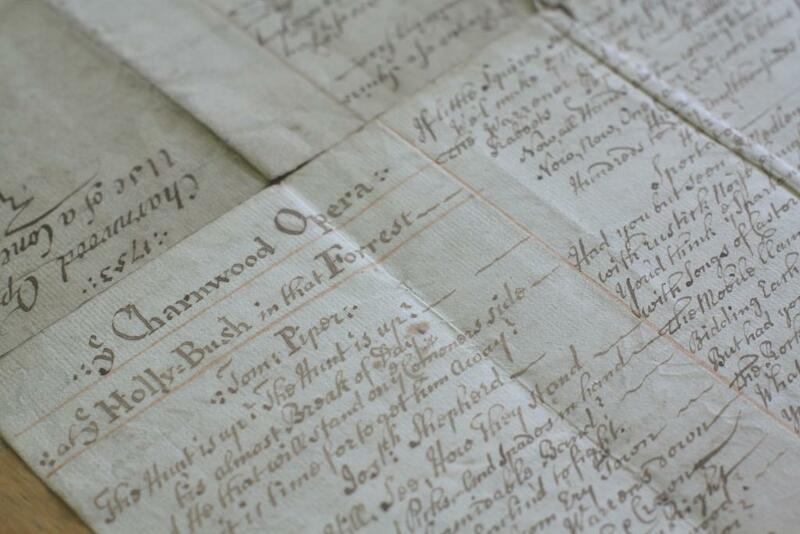 A few weeks ago I received an email from an academic eager to see the original manuscript of a mid-eighteenth-century performance piece called ‘The Charnwood Opera’. They supplied the file number, D MS 1093/12/19, and I set about retrieving the manuscript. When I looked up the file number in the catalogue, the description offered was simply ‘documents related to enclosure’ – nothing, at first glance, directly referenced ‘The Charnwood Opera’. Upon finding the folder I found an envelope and as I carefully emptied its contents I discovered the manuscript I was looking for. Measuring approximately 39×31 cm, this manuscript is the only known surviving copy of ‘The Charnwood Opera’. It is dated 1752 and was written by an unknown author. The piece was written as a protest against a local landowner, William Herrick, who attempted to enclose areas of common land in Charnwood Forest in Leicestershire and develop rabbit warrens for private use. It is an entirely unique piece of contemporary evidence in song of the rural struggles against enclosure. 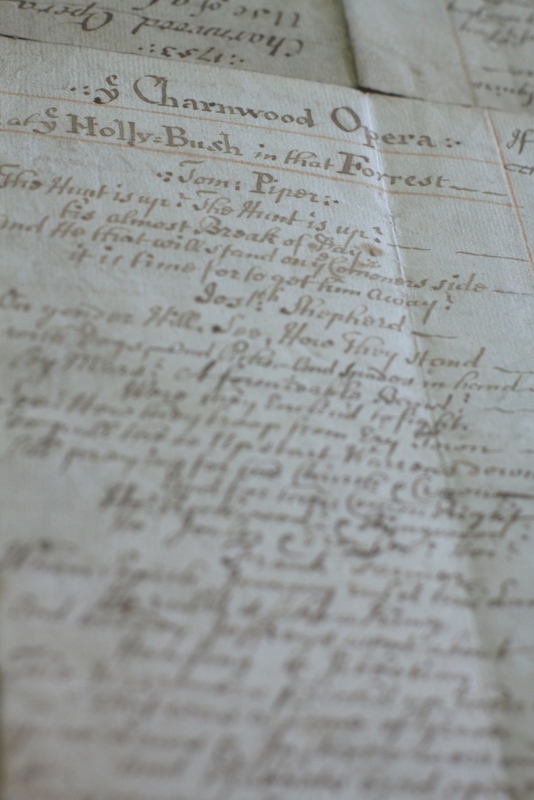 The manuscript suggests that it might have been performed at a tavern in Charnwood Forest known as the Holly Bush. Although set in the immediate context of William Herrick’s attempts to enclose common land in Charnwood Forest, at the time the piece was written around half of the villages in the county had been enclosed and ‘The Charnwood Opera’ encapsulates this county-wide unrest. During the early eighteenth century, nine out of ten people lived and worked in the countryside. For them, the difference between cultivated (private) and uncultivated (common) land was more meaningful than that between the town and the countryside. For the commoners, enclosure meant becoming labourers and working for wages whilst their traditional livelihood of catching rabbits was outlawed. ‘The Charnwood Opera’, through a mixture of seven songs and dialogue, plays out the events of the confrontation between warreners and commoners. When a bribe offered by the gentry fails, many of the commoners are arrested and the landlord turns to hired thugs to pacify them. The piece concludes with the commoners anticipating further troubles ahead. How did a performance piece related to the enclosure of land in Leicestershire find its way to Reading? The manuscript is one of hundreds of documents that form part of the William Tate (1902-1968) archive. He was a much celebrated historian and antiquarian, called many things from a ‘scholar’ to a ‘maverick’. 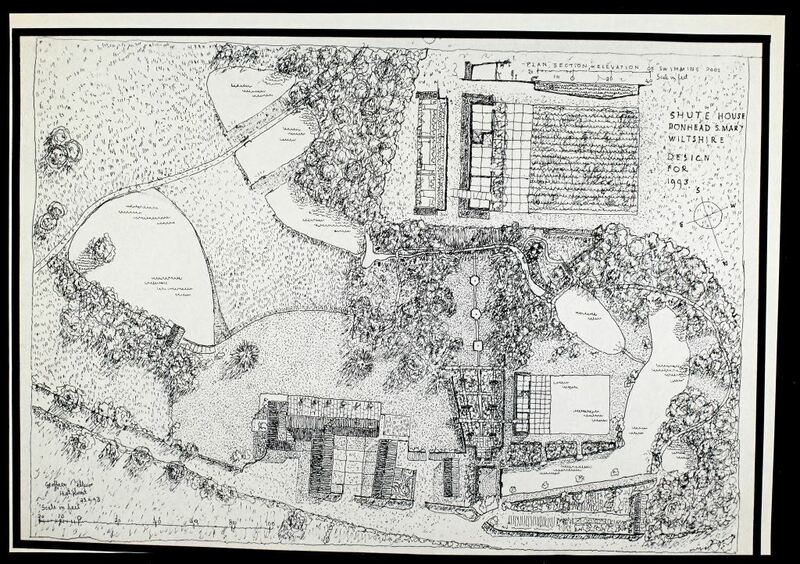 He had many academic interests, but his main passion was for the history of enclosure in England and he spent over thirty years researching and compiling the details of enclosure for all English counties. What Pevsner is to buildings, Tate is to enclosure acts. Much of his collection of papers was deposited at the University of Reading by his wife after his death, including many manuscripts of unpublished works. And it was this very archive that presented the treasure I discovered tucked away in an envelope. It is thought that William Tate first discovered it when a bookseller in Nottingham alerted him to its presence when he found it loose in a book. Whether Tate was aware of its significance is unknown, but he was clearly fascinated enough by it to save it. You can find out more about the William Tate archive here. Thank you to Gerald Porter for sharing his research and for shedding light on such a fascinating piece of rural history. Porter, Gerald and Tiusanen, Jukka (2006) ‘Performing Resistance to the New Rural Order: An Unpublished Ballad Opera and the Green Song,’ The Eighteenth Century, 47 (2): pp.202-232. This week it’s Bike Week which aims to promote cycling, encouraging people to make it part of their everyday lives. Not only it is it great fun and a healthier way to travel to work, it’s also an excellent way to explore the countryside. A large number of events are happening across the country this week to promote cycling, in particular cycling to work as let’s face it, cycling in the sunny rays alongside a colleague to work seems far more appealing than being in a stuffy car stuck in traffic. As a result, this seemed like the perfect opportunity to explore the collections here at MERL to see what interesting objects relating to bikes the museum has to offer. Scrolling through the online catalogue, it was clear that MERL holds a huge collection relating to bikes, from bicycle lamps to cycling maps, as well as a boneshaker bicycle; I was certainly not disappointed! 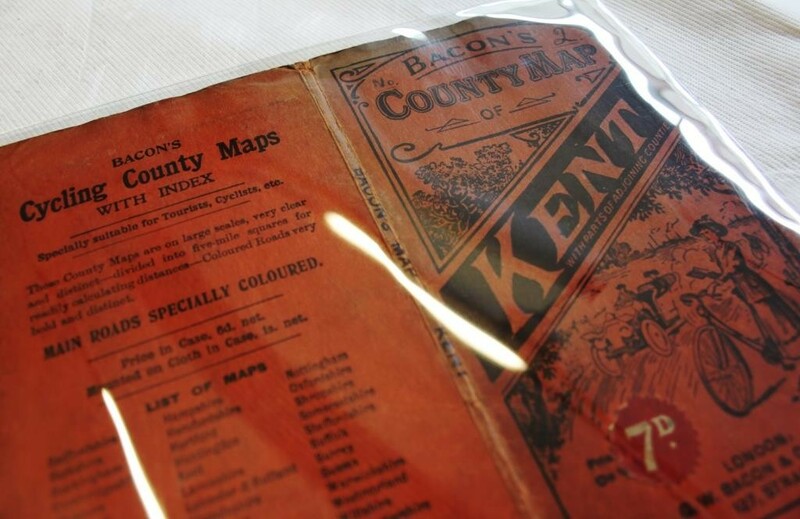 One interesting item that caught my eye was the Bacon’s Country Map of Kent which was number two in the series and sold for seven pence. Having been produced between 1906 and 1910 by G. W. Bacon & Co, this map highlights that people were beginning to view the countryside in a different light at this time. There was an increasing interest to explore the countryside and see what it had to offer, from its rolling hills to flowering meadows. The idea of escaping the busy city and enjoying the fresh country air with its beautiful views was popular, therefore maps such as this one would have come in handy to find picturesque cycle roots through the countryside. With MERL being home to one of the biggest basket collections in the country, from delivery baskets to fruit baskets, I was on the lookout to find a bicycle basket. Like so many people today, I can’t cycle anywhere without my trusty bicycle basket. This basket that I came across was actually made in Reading by George Frost of Spencers Wood in 1975. 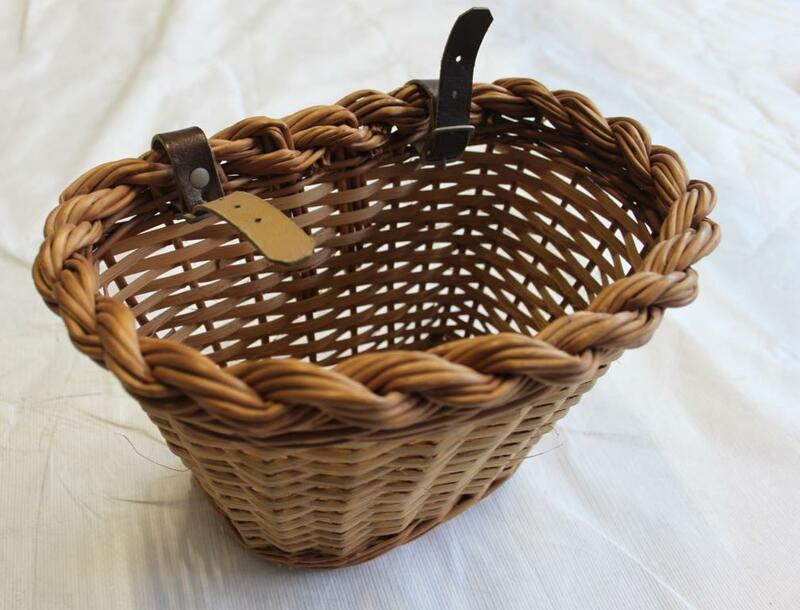 Made from willow that came from Taunton in Somerset, along with its leather straps and buckles that allows it to attach to the bicycle, it looks like the perfect accessory to any bicycle and a great way of carrying a picnic. 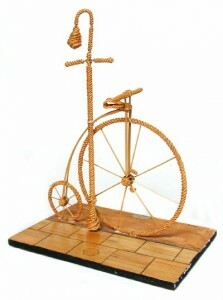 Finally, my favourite object that I came across was the corn dolly penny farthing bicycle leaning beside a lamp post. 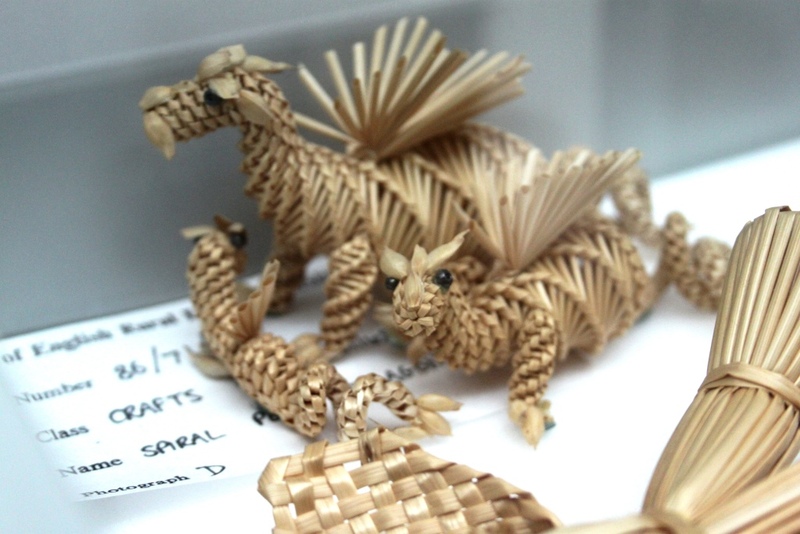 Originally made by Alec Coker for a competition at the Lambeth Corn Dolly Gathering in Cambridgeshire, it is clear that a lot of work went into making it. Corn dollies were once used for ritual purposes, but from the 1950’s great efforts were made to preserve the craft after the ritual associations with corn dolly’s faded away. From looking into the collections here at MERL, the museum has some very interesting ojects relating to the topic of bikes which Bike Week has highlighted. Cycling is a great way to explore the countryside and keep fit, therefore I will certainly be taking full adavantage of my bike this summer! It is difficult to know quite how to categorise this post by Project Officer, Felicity McWilliams, but it’s all in the name of research for one of our new galleries…promise! Given that it is, apparently, British Cheese Week, today seems an appropriate time to share with you the results of a little experiment I carried out a few weeks back. Anybody who came along to our cheese-themed Museums at Night event last month will have seen copies of recipes from a 1970s cookery book produced by the Cheese Information Service. The book is called Make a Meal of Cheese, and I came across it whilst researching for an area of the new museum galleries which will focus on farmhouse cheesemaking. Organisations like the Cheese Information Service and the Milk Marketing Board used such publications (and the promotion of concepts such as the ‘ploughman’s lunch’ in pubs) to encourage consumers to eat more British cheese. It’s fascinating – the authors really try to convince you that any recipe can be improved by the addition of cheddar cheese. Some of the recipes actually sound okay – leeks wrapped in bacon covered in cheese sauce, for example – but many more are distinctly suspicious. I decided to test one, and was immediately drawn to the implausible cheddar cheese curry. It sounded (and looked) terrible, but I was willing to give it a chance. Here are the assembled ingredients. 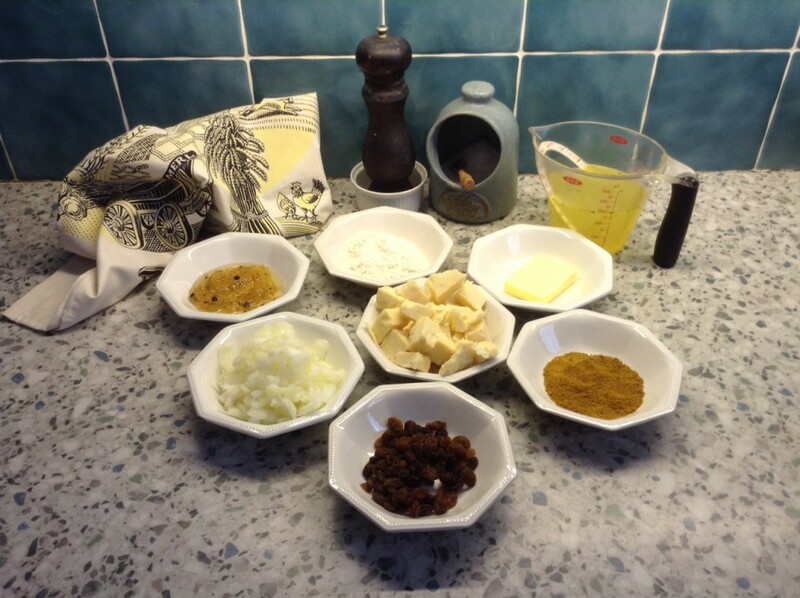 It was quite enjoyable measuring everything in advance into little bowls – I could pretend I was a TV chef. As you can see, other than a chopped onion there is a distinct lack of vegetables in this curry. As the recipe points out though, you can make this almost entirely with store cupboard ingredients, so it is convenient. Step one: fry onions in butter. So far so good – fried onions smell delicious and I was starting to think that this might just be okay. Step two: add flour and curry powder. Looks a bit weird, and I came to the realisation that I was effectively making a roux. 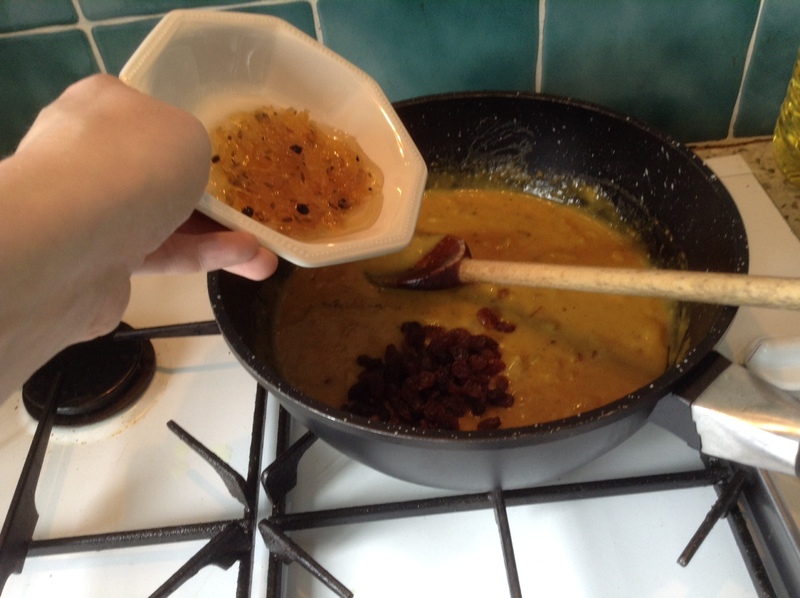 Step four: add seasoning (like that’s going to save this dish), sultanas and chutney. I suppose the sultanas added interest but the chutney gave a vaguely unpleasant sliminess to the sauce. Step five: add cheddar cheese. It felt wrong, even as I was doing it. 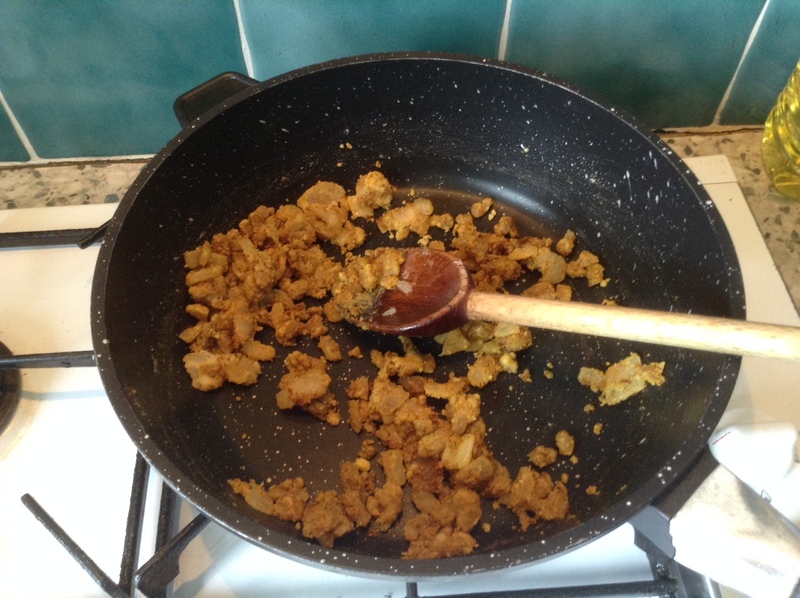 I stirred it round a bit to coat it all in sauce and tried to spot when it looked like it might be starting to melt. 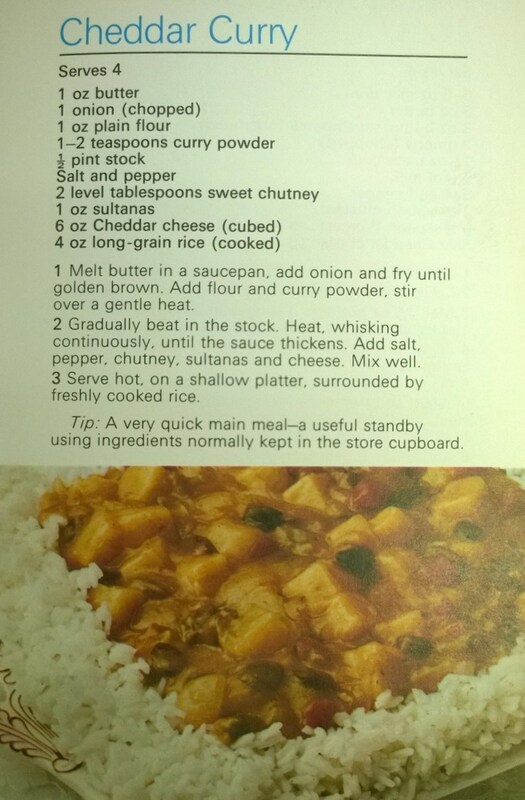 Step six: serve, 1970s style, in a ring of rice. 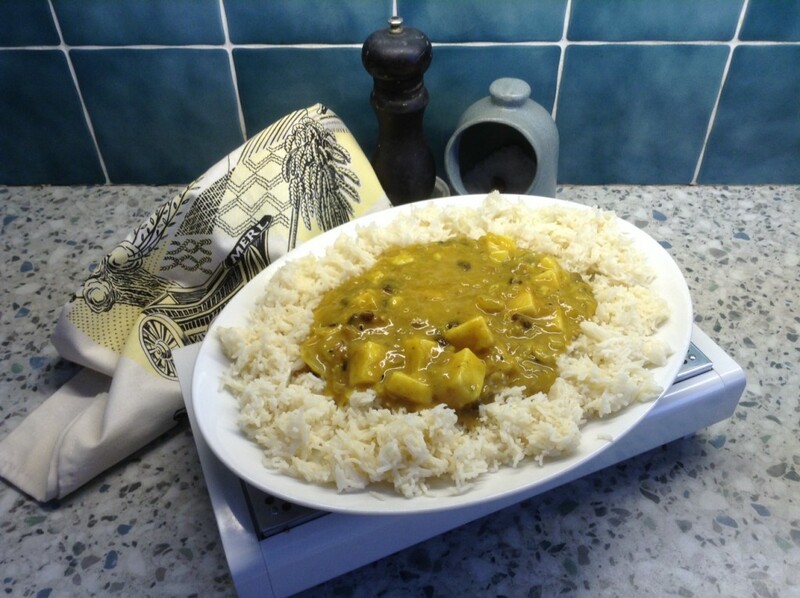 You may be impressed, or horrified, to know that I did eat the curry – and I don’t mean just a small taste. I actually served this to my parents for Sunday lunch. Mom, who had assisted in the preparation, was as sceptical as me but my Dad tried hard to be enthusiastic, saying ‘I’m sure that, since you made it, it will be delicious’. He did sound like he was trying to convince himself. The verdict? I’d really hoped that this dish would surprise me, that somehow, despite looking revolting and being formed of a strange amalgamation of ingredients and cooking techniques, it would actually taste pleasant. Alas, it was revolting. The sauce was slimy, without any real flavour as the curry powder just seemed to sit on the surface. And cheddar cheese does not taste good in curry. It’s consistency and sharp tang (we used mature) clashed horribly with the sauce. Perhaps we should have used a mild cheese, but the sauce was tasteless enough as it was. The rice was alright though. 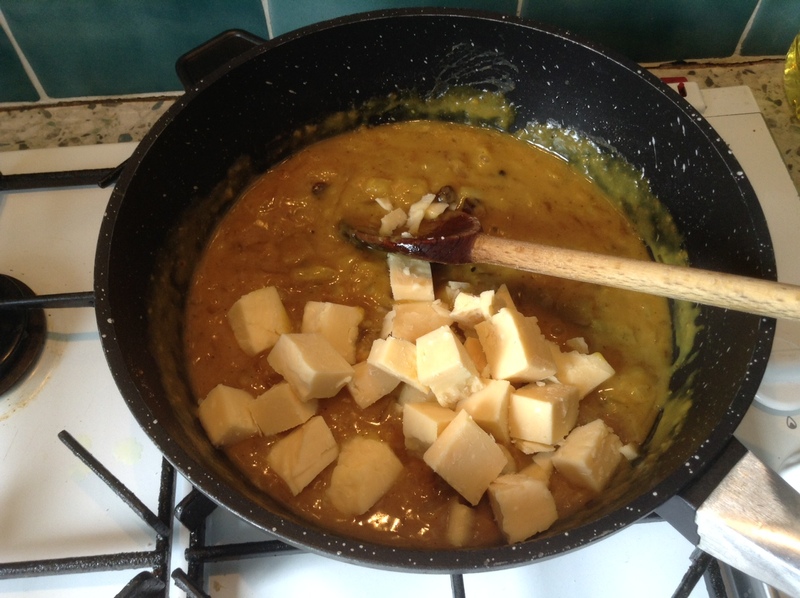 Once the taste of this curry recedes far enough into my memory for me to convince myself that it wasn’t so bad really, I plan to attempt another recipe from Make a Meal of Cheese. Do comment and let me know if you have any interesting cheese-based recipes – good or bad, and the weirder the better!